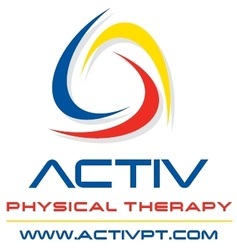 The Functional Movement Screen (FMS) is part of ACTIV Physical Therapy's Strong Runner Program, a training system for runners and athletes of all abilities. For more information and to schedule a screening, visit Lloyd's FMS expert page. The Strong Runner Program is an 8-week training program designed for the runner seeking to improve mobility, strength, and sport-specific skill. The program provides a platform for injury prevention and strategies for corrective exercise. I organize the Fools 50k and 25k Trail Runs, to be held in the Virginia Kendall area of the CVNP on April 7, 2013. The races are slated to be part of the Western Reserve Trail Running series for 2013. Stay tuned for registration opening early January. For more information, go to Fools50k.org or contact me directly. Lloyd is offering personal coaching services for the 2012 Summer/Fall training seasons. Lloyd is a member of several local running clubs and supports the community of NE Ohio runners. The Burning River 100 Mile -- part of the Western Reserve Trail Running Series -- is an exciting ultramarathon endurance race through the Cuyahoga Valley held July 28-29, 2012. Lloyd is heading up the Station Road Bridge Aid Station (Mile 35) and is seeking volunteers to work a few hours from 9:00 am to 3:00 pm. Similar to last year, a group run on the Towpath or Carriage Loop Trail (7:30am) precedes volunteer shifts. 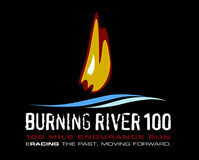 The Burning River 100 was selected by the USATF as the 100 Mile Trail National Championship for 2010 & 2011. Last year, volunteers earned a Burning River t-shirt. I'm not sure what's available this year and I'll let you know as soon as I find out more. To be safe, send me your t-shirt size when signing-up. Sign up for a volunteer position.